This boost is an additional step forward for the company that was set up in 2016. 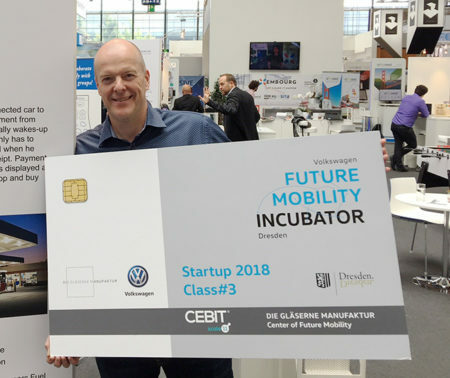 The idea was simple: to create a platform that would allow any mobile application or connected car to activate any fuel pump and manage the payment from inside the vehicle. As soon as drivers arrive at a petrol station, their smartphone (or the screen of their car) automatically starts up and confirms the number of the nearest pump. Once the car has been filled, the payment is automatically generated and the receipt of the transaction is displayed on the screen. Today, the CarPay-Diem platform is compatible with over 100,000 petrol stations and connects with different payment methods. The company raised an initial €500,000 at launch, and secured a second injection of €1.2 million at the beginning of this year. The new investors include the Mobivia group, the European leader in the multi-brand maintenance of vehicles. A third fundraising cycle is underway that will allow the company to comfortably manage its international expansion. “The interest from investors is high. Things are going faster than we had originally planned, and we have to be able to manage everything properly,” says Frédéric Stiernon who indicates that other important announcements might come by the end of the summer. Luxinnovation offers Luxembourg and foreign entrepreneurs and companies that are interested in establishing a business in Luxembourg a range of start-up services with innovation at the heart of our value proposition.